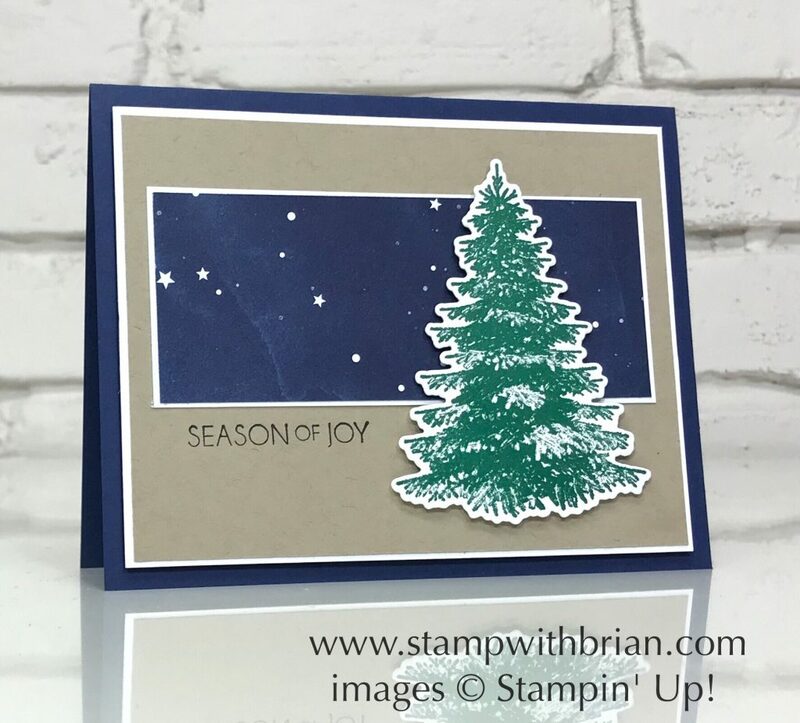 I love to collect and use Stampin’ Up!’s Designer Series Papers. What a great way to find inspiration for our projects! The colors and patterns pair perfectly with other products we love. On Sunday I shared a car that showcases three of the patterns in Stampin’ Up!’s Twinkle Twinkle Designer Series Paper, a sweet pack of papers in Stampin’ Up!’s 2018 Annual Catalog that coordinates with the Twinkle Twinkle Suite. I’m excited to share a bit more about the papers today. How adorable are these pages?! So many ways to showcase these patterns and colors. Like other packs of Designer Series Papers, the Twinkle Twinkle Designer Series Comes with 12 sheets – two each of six two-sided designs. This pack of papers includes Gray Granite, Night of Navy, Petal Pink, Pool Party, Soft Sea Foam and Whisper White. Such a beautiful, soft collection of colors! As you can see, there are so many ways to showcase these beautiful papers. Don’t you agree? Today I’m going to share a couple more suggestions for pulling these colors right from the patterns in the Designer Series Paper. By limiting the colors you’ll use in a project (or expanding the colors to those outside a pack of papers), you can really find some beautiful color combinations for our projects. Thank you so much for explaining the Twinkle Twinkle Designer Series Paper, and how to pull color combos from DSP. Petal Pink, Soft Seafoam and Pool Party are EXACTLY what I was looking for. I really appreciate your creativity. Next time you are in Tucson, give me a “Hallar!” I’m in Oro Valley. Just a skip and jump from Tucson. Thanks again! Brian, thank you so much for your detailed blog entry today about the Twinkle Twinkle DSP. As always, I really appreciate the time you take to share color inspirations taken from the DSPs. You’re so welcome, Frenchie! I’m glad you like them! Thanks, Brian, for your color combos. All are saved for future reference. Enjoy your day! Thanks Brian for your detailed explanation on the Twinkle Twinkle DSP. You are wise beyond words! So happy to share, my friend. Thanks! Thanks so much, Dara! I couldn’t believe how much I’ve used this paper – I forgot about that pig until I was looking for the papers in my archives. Thanks! I have always loved this ds paper. Thanks for the color combos. Have you ever thought of making swatch books of your combos? I, for one, would be interested if you do. That’s a great idea, Nancy! I’ll have to figure out how I can make that work. So glad you like the color combinations – I love working with SU!’s colors.